There are a few things that I expect when I’m staying at a luxury hotel and there are a few things that stand out as exceptional even for a luxury property. We arrived at Outrigger Laguna Phuket Resort & Villas yesterday for a five day stay and I’ve noticed reminders that I’m truly staying in luxury. There are plenty of options when looking for Phuket pool villas. These are a few of reasons I chose Outrigger Laguna Phuket Resort & Villas. 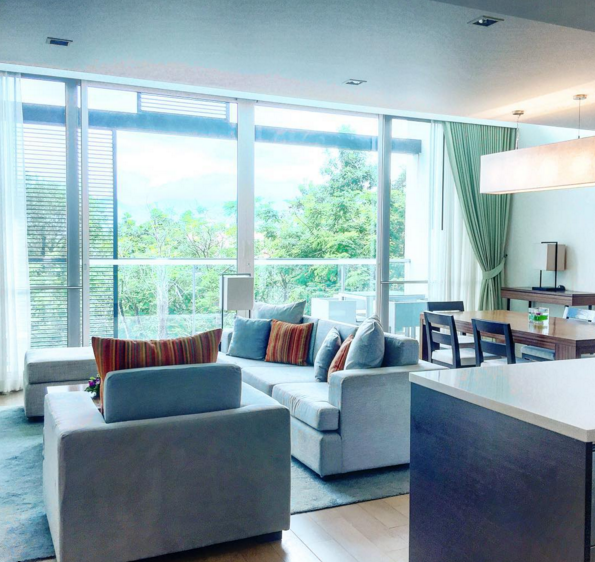 All of the suites at Outrigger Laguna Phuket Resort & Villas have a pool view and floor to ceiling windows. The views are spectacular! I don’t draw the curtains until I absolutely have to. It’s like bringing paradise inside with me. I have long, thick hair and one of the things that annoys me when I travel is the shower pressure and the shower head. I need a lot of pressure to get the soap out of my hair and I prefer a shower head that detaches so I can get the back of my neck and head. More importantly, I despise how much soap is wasted at hotels. 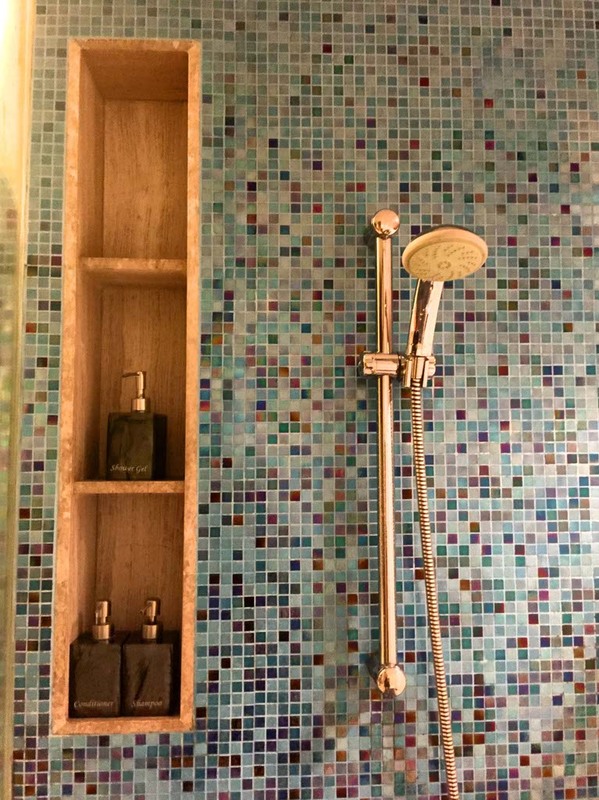 At Outrigger, there are shampoo, conditioner and body wash dispensers in the shower. Can you imagine how much soap is saved by providing dispensers? It’s a little thing but it goes a long way, especially in large hotels. It should be common practice now. I do appreciate a toothbrush in the bathroom and notice that it comes in recyclable paper. I used the toothbrush last night and after turn down service this evening, I was pleasantly surprised to see my the toothbrush still sitting in the cup. Throwing it out after one use is such a waste, but it happens so often at other hotels. I use to avoid turn down service but I’ve admittedly become a big fan, especially when they leave little treats or surprises on my pillow. The added touches at Outrigger Laguna Phuket Resort & Villas include slippers and robes next to the bed, a handmade flower on each pillow and water with a glass on the nightstand. The lights were dimmed and the tone set for a great sleep. They even put Athena’s monkey, she doesn’t leave home without him, and put him on her side under the blanket. As a mother with a toddler, one thing that makes or breaks a hotel for me is easy access to amenities like the pool or the kids club. We forget things or Athena needs to potty or she has a melt-down or a huge variety of things happen that we need to go back to the room quickly. Some resorts are fantastic but they are just so darn massive that everything seems like a hassle. At Outrigger, we are overlooking the pool, the kids club, the restaurant and the shuttle to everything around us. We have three more days at Outrigger Laguna Phuket Resort & Villas but we’re spending a lot of time off-site for tours and exploring. With such a busy schedule, it’s nice to come back to simple luxury without worry or fuss. This entry was posted in Asia, Family, Family Travel, Thailand, Travel and tagged Asia, FindOutrigger, Outrigger, Outrigger Laguna Phuket Resort & Villas, Phuket, Thailand, travel by lesleycarter. Bookmark the permalink. Some of us, have all the fun! What a beautiful room. It is so nice when you have one isnt it? Even if you dont spend a lot of time in the room it is like a separate holiday just relaxing there. Wow that suite looks incredible! I can just see myself now chilling on that couch looking out beyond the resort to the mountain range in the background. Looks amazing! Sounds amazing- definitely a place to consider while staying in the area. 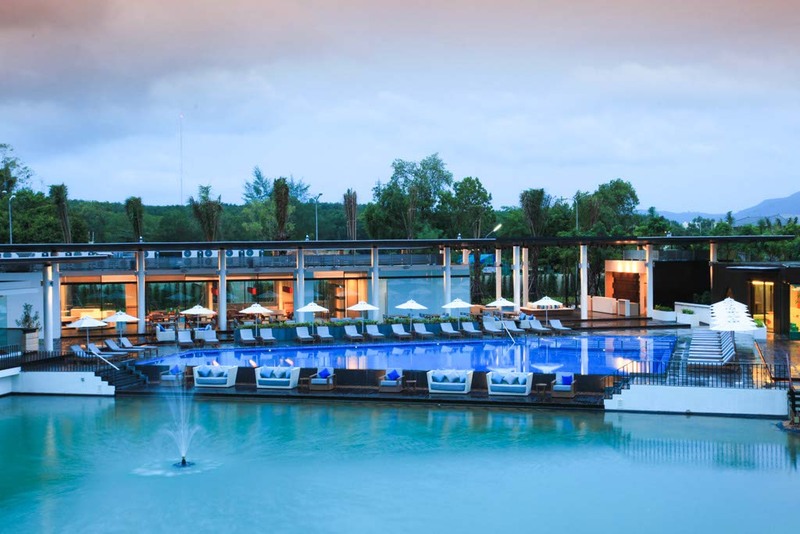 Outrigger Laguna Phuket Resort & Villas looks fabulous! It sounds like you found a special place in paradise. 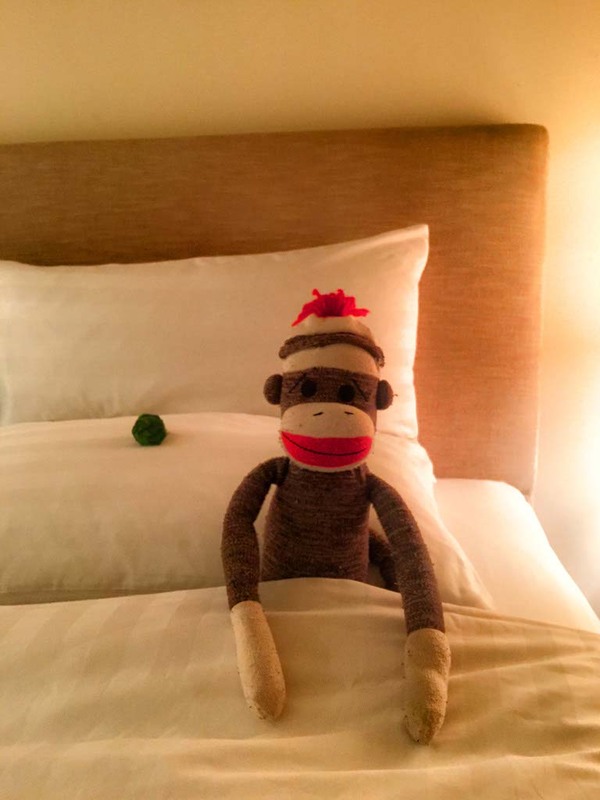 I love thoughtful turn-down service – my kids are always thrilled to return to the room to find a stuffie tucked into the bed. 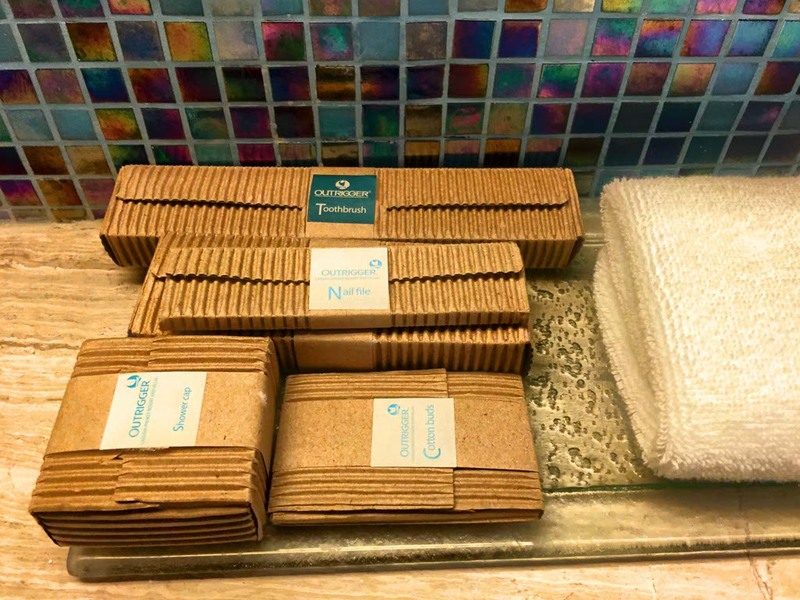 I am with you on the soap, I appreciate hotels that think green, and sometimes it is in the small things like dispensers, not changing towels unnecessarily, etc. after years of living in India and staying in 5* hotels I have definitely become spoiled! This looks like a perfect place for a family getaway!! Looks like quite the fine resort … gives me ideas for when I am ready to move up in the travel world! I love the design of the shower! 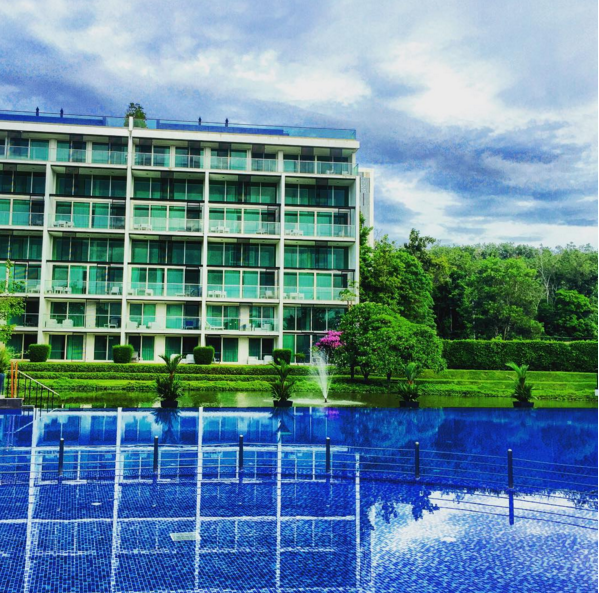 Definitely looks like the perfect place to chill out when in Phuket! I will put this on my list of Must Stays when we get to Phuket. Funny how something like water pressure is on the top of our Luxury List when you have thick hair; team that with kid friendly and I’m all in!